Enjoy Ben Aaronovitch's Books? Tell us Why and Win a Free Book! 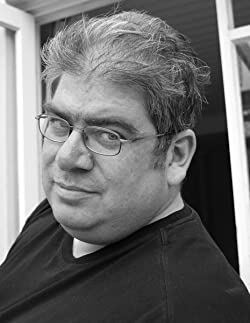 Welcome to Ben Aaronovitch's BookGorilla Author Page! We're working hard to bring you the best deals ever on Ben Aaronovitch's Kindle books. If you’re a Ben Aaronovitch fan, we'd love to have your help in making this author page special. Tell us, in no more than 150 words, why you think Ben Aaronovitch is great. Use this webform to send us your submission, and if we select yours we'll offer you one of Ben Aaronovitch's books or a Kindle Gift Card as a free gift! Thanks! Please enter your email address and click the Follow button to follow Ben Aaronovitch! Peter and Bev find themselves drawn into a sordid cannabis-smuggling operation, controlled by London's new queenpin of crime – the brutal and beautiful Hoodette! Wizarding cop Peter Grant delves deeper into the secret past of his mentor Nightingale.From the original creator of the urban fantasy hit novels. Rivers of London begins a new story from creator Ben Aaronovitch.The secret history of Nightingale is revealed for the first time, as wizarding cop, Peter Grant uncovers his mentor’s occult service in World War II! The book store hit returns for more dark and dangerous urban fantasy! The third series in the best-selling original comic series, based on the award-wining novels by Ben Aaronovitch! Self-contained magical crimes, as recounted by Detective Peter Grant to his superiors, as he takes the Detective exam. If you've ever wanted to try the mysterious world of Rivers of London, this is the perfect opportunity to get on board! Self-contained magical crimes, as recounted by Detective Peter Grant to his superiors, as he takes the Detectives exam. The stunning conclusion to the amazing mini series! Self-contained crimes, as recounted by Detective Peter Grant to his superiors, as he takes the detectives exam.